Unique, original and politically correct, quite a feat and a daily challenge in this business. With so many competing companies and Realtors, each trying to carve out a niche for themselves, originality seems harder to achieve than a quick closing on a bank repo. Today’s marketing strategies produce Social Media sites laden with flashy updates of every Realtor’s new listings, Open Houses, sold properties and contest giveaway promotions to attract business. Kudos to them, and I myself am not immune to the Social Media smorgasbord of real estate graffiti. Mastering the Social Media maze is a feat unto itself and requires delicate maneuvering to accomplish well. There is a fine line between savvy marketing and boring the voyeuristic public to the point of being off-putting. As Realtors, we try to find new and innovative ways to present our client’s properties in such a way that we achieve the desired goal of attracting that perfect suitor. We hire professionals to do the jobs we can not. Graphic Designers and Web designers for the ultimate in website design, photographers, videographers, content writers and trusty assistants. This repertoire of aces is what makes any of us a success and what helps to set us apart from the mainstream. Presenting homes on the market with striking and unique visual impact would be almost an impossibility without this valuable entourage. The challenges keep coming with so many stimuli to draw on, thinking outside of the box has become the norm and even the box has become as elusive as a qualified buyer in December. Above all, we must be steadfast in our marketing as to not offend a single solitary individual. Keep it clean, personable, interesting and entertaining without so much as a raised eyebrow from a potential buyer or seller. Does success in marketing mean we curtail our clever and sometimes colorful wordplay, to play it safe at the risk of being mundane and mainstream? Or do we take a chance, throw caution to the wind, live on the edge and market dangerously? 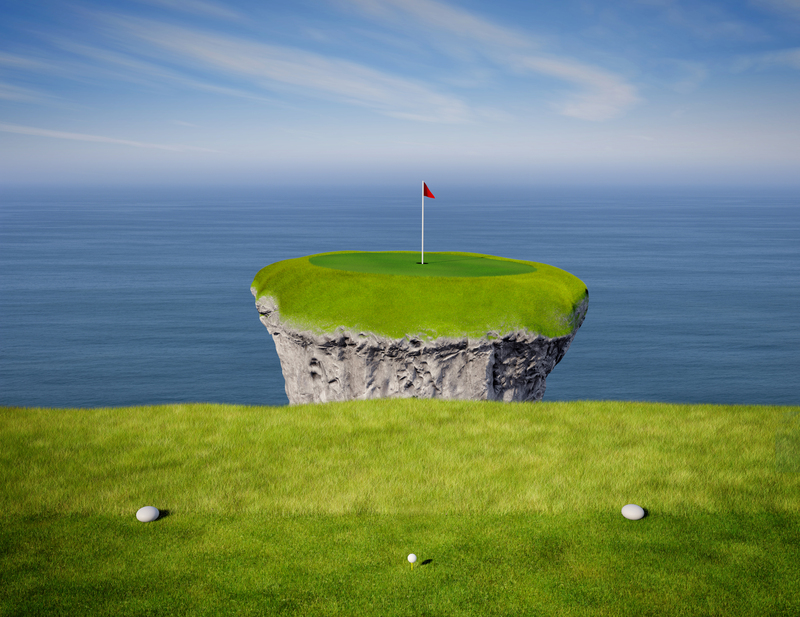 I believe that Real Estate marketing is like a game of golf, you can play it safe and marginally succeed in the mainstream, or you can take risks, dare to be different and set yourself apart from the rest, striving for that elusive hole in one. It’s just a matter of having the balls to do it.